If the Tsar is the Autocrat, who then is the Autocephalous One? And which of these two Russian heads is supreme? Which head controls that Russian Eagle? For the sake of clarity let’s say it up front: I contend that no autocrat of Russia can rule (for long) without the at least implicit approval of the Patriarch of Moscow. While the second head appears to be a stunted stump, it in fact controls the fate of the ruler and thus, by extension, the people of Russia. I know that is a bold claim. One that almost every ‘modern’ historian will howl at. But ask yourself something; have any of these guys ever foreseen a single train wreck coming down the tracks? Through the windshield, and not the rear-view mirror? There’s their problem. The mirror displays things in reverse. Which is why all of these ‘brilliant’ ones can never plumb the reasons for why things happen. All they can do is parrot the party line that is always conveniently available in the immediate aftermath of the latest disaster. The real story usually takes about a hundred years to surface. Eventually, it does. But that doesn’t stop the ‘hysterians’ of the day. To make any progress here, we need to understand the origins of the Patriarchy. We already know the origins of the Tsars, and specifically this newly-proclaimed ‘autocratic’ one, Ivan III. We need to understand that this whole thing had played out earlier in time, in the Byzantine Empire. Yes, the Empire that the Russians had been married into, all the way from Vladimir the Great (988) to Ivan III. And that meant that Russia was Orthodox, just as all the Byzantine Emperors were (or claimed to be). And that meant that there was a bond between Church and State. None of this separation-of-things nonsense. Personally, I’m a fan of that bond. As long as it is between a national State and a universal Church. Why do I make that distinction? Because if the State is bigger than the Church, then guess what happens to the Church? Let’s pause for a moment while all our partisan nationalist-church fans bay at the moon. There, do you feel better now? How’s that nationalist church thing working out for you? Are you liking all those modernizations to your liturgy? Your doctrines? Your clergy? Are you having lots of converts swarm into your church? That’s what’s supposed to happen, you know. The Church is supposed to purify all the pagan tribes. Not the other way around. Now tell me again, is it that way in your church? Do you see why the Church must be larger than the State? Do you see now the implicit danger that comes from an ever-expanding State that morphs into an Empire? And that the Empire will subjugate the Church, in order to subjugate the people? Just like in Byzantium, the Second Rome. Just like in Moscow, the Third Rome. But there’s a problem here, citizen: First Rome has never fallen. And never will. Until the end, of course. In other words, only one head can effectively rule the body, or else you’ve got a Russian mutant on your hands. Let’s look at how this happened. First, the concept of the Patriarchy (and it’s follow-on, the Pentarchy) must be understood. It was never intended to mean an Autocephalous body that was, by definition, independent (in thought) from any other body. Or head. Otherwise, with four (or five) different Patriarchs running around, you had no chance at gaining or keeping doctrinal unity. Each one held an implicit veto over the others. Who could imagine Constantinople being in agreement with Alexandria, Jerusalem and Antioch? Except, of course, on the one question of whether Rome was above them all? So, what’s that spell? Hydra, of course. We’re back to Greek mythology. Now three of these Patriarchates had fallen to the Mohammedans early on in the whirlwind of the East. And the fourth, Constantinople, had finally succumbed in 1453 (although it had been nibbled down to next-to-nothing several hundred years before). Since each of these four Patriarchates was subject to the Mohammedans and had no freedoms, religious or otherwise, they were all subject to the external Emperor. Who cares if the Emperor was a Greek or a Mohammedan? The reality was that the Eastern Church was enslaved to the State. 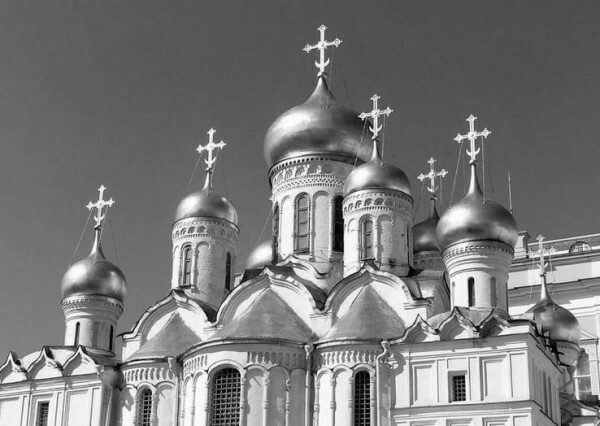 During this time of enslavement, these four slave-churches had been reduced to sending emissaries to Moscow, the last redoubt of Eastern Orthodoxy, to beg for alms from the Tsars. For hundreds of years, the Tsars obliged them. And eventually obligated them. After all, it was pretty clear to any idiot (except the Patriarchs) that the real population and power of Eastern Orthodoxy resided in Russia. As it does to this day. Pretty soon, the Russian rulers began to ask the inevitable question: why do we have to ask Constantinople for our bishops and metropolitans? Why do we need Greeks to head our Church? They can’t seem to defend themselves. What has their faith brought them? Now a smarter man might have asked this last question first. But the Russian rulers were really no different than most others, especially the Western Orthodox (Anglican and Lutheran) rulers. For those Western rulers had clearly seen the temporal advantages of having a nationalistic church as their lap dog. They understood the lesson Photius had taught the Emperor in 860 AD. The Church kept the people in line, and the Emperors kept the Church in line. Such a deal, no? If you’re the Emperor, that is. It was Feodor I, the last of the Rurikid line of rulers, the son of Ivan the IV, that finally made the request. No, he didn’t get uppity or anything. He didn’t have to. He was the benefactor, remember? He just asked why Moscow couldn’t be the Patriarchate that replaced ‘apostate’ Rome. After all, all the Orthodox world recognized Moscow as the Third Imperial Rome, as the first had supposedly collapsed, and the second, in Constantinople, had rotted in sensuality. Why shouldn’t Third Rome also be seen as the true Holy Rome? Such a simple request, right? Now let’s see; if this guy, the Tsar (whoever he is at the moment) is the guy we other four Patriarchs have to beg for money to keep our empty churches open (and thus keep our position of relative power and glory), how can we refuse him in this request? After all, if he refuses our call for alms, we will be reduced to nothing in very short order. So, mirabile dictu, the request for the elevation of Moscow to the ranks of the Patriarchy was granted. Moscow was not only the Third Imperial Rome, now it was also to be considered (amongst the Eastern Orthodox Greeks) the Third Ecclesial Rome. At least, to some folks. The rulers of the Russian Church were no longer Greeks sent from (and loyal to) Constantinople. No, now they were Russians. Our own homegrown variety of Komrades! Guess who they owed their existence to? The Tsar? Good guess. Everybody was happy. Right? Of course they were! Everyone got what they wanted. Best of all, the Tsar got what he wanted, autonomy. Which would grow into Autocracy. Total independence, and not just from the Mongols. Independence from everybody. Including the Church. Ain’t that swell? It’s pretty simple, really, if you understand one thing. And that is that even though it was (and still is) in schism from First Rome, the Eastern Orthodox Church has three truths that are un-denied, even by Holy Rome: true sacraments, true doctrines (apart from Hesychasm) and a true priesthood. That means (to the irritation of any Orthodox who stops to think about it) the Eastern Orthodoxy has true Catholic Christians for subjects. Sure, maybe it has bad, even rebellious and schismatic leaders. But hey, no monopoly there! Nevertheless, the Orthodox faithful, like in the Latin Church, are exactly that: faithful, to the truth. This reality of a Catholic pedigree for the Orthodox people is undeniable. And that means trouble, for somebody. Who could that be? The Tsar, silly. Why is that? After all, have I not said that in her claim to be Holy (Third) Rome, the Russian Orthodox Church is incorrect? Correct. Nevertheless, the Russian Orthodox Church, whether she knows it or not, is still a part of the Universal Church. Regardless of her protestation that she alone is the Universal Church, the ecclesial fact of the matter is this: she rightly commands the people’s allegiance in the matter of ruling on the legitimacy of the State. And that claim comes from her legitimacy of belief. Which beliefs are defined by Original (and still existing) Holy Rome. What does this mean? I’ve said this before. The True Church (and all of her true parts) has three nuclear weapons to use against nationalistic (or even Imperialistic) rulers who abuse the Church or her people; excommunication, interdiction, and release of allegiance. Many rulers don’t give a damn (literally) about the first power. Some get uncomfortable with the second, which causes unrest among the people when their sacraments are denied to them. But the third one, the release of allegiance, is the deadliest power against any despot, regardless of title. For when the Church releases people from the sin that usually accompanies rebellion, then all political bets are off. Who in their right mind would willingly serve in the army of a ruler who openly defied their faith? Right. Damn few. That’s bad news for a national leader. It’s even worse for an Emperor. Now we’re back to the inverse of the problem of Autocracy. As we’ve seen, through the eyes of Solzhenitsyn, the Autocrat was supposed to possess this power in the outward sense, against other nations who might have designs on the rightful independence of their neighbors. Beginning with Tsar Ivan III, he (and by extension, his people) were proclaiming their independence of any and all external political powers. But internally, they were to be one. Sobornost, Komrade. The Autocephalous one, from an Ecclesial perspective, can only be One. Not four. Not five. Only One. Why? Because the nations (plural) are legitimately unique. Ordained by God at the Tower of Babel, the nations were created as a means of separating mankind so that they could not unite to commit again the sins that brought down the deluge of Noah’s time. Therefore, their multiplicity is a legitimate fact, a blessing even. For it removed the divine threat of annihilation. See that rainbow over there? No, not that fake flag. Up in the sky, silly. The real sky. The Church on the other hand can only have one head, one body, one mind, one tongue. Why? Because it is built upon one belief. If you have multiple heads, then you could (and eventually will) have multiple beliefs. Divergent wills. This will divide the body. A process known as death. It may take a while, as the recurring schisms amputate further parts of the one body. But soon enough, there’s nothing left. Just like the Eastern Empire in the centuries before the final fall of Constantinople in 1453. Nothing left but a stump. Sooner or later, this reality of the unity of the Church will become apparent to the ruler(s) of Russia. As I’ve noted, the sacraments, dogma and priesthood are all valid in Eastern Orthodoxy. The people can sense it, hence their tenacious loyalty of belief. This loyalty to the Church, anywhere, Orthodox or Latin, carries with it the seeds of Imperial destruction if the Emperor (Tsar) decides to push the Church too hard. Or if someone wearing the Klobuk decides to take advantage of his power and seize the throne for himself, as Photius, the father of Schism intended. Someone wearing the White Cowl of Novgorod, perhaps? Here’s the point, my friend: Vlad the the Autocrat is not the real enemy. Rather, it is the Autocephalous Patriarch who is to be feared. Patriarch Kyrill, who prolongs the division of Christendom, is the one we must fear. For he seeks to subsume the Autocracy into his own Autocephaly, and to make them one. This is the one Robert Hugh Benson was worried about in his work The Lord of This World. So, Vlad, you’d better be careful. The Greek (Russian) Orthodox Church is the second head on the body of Russia. The stunted head that is just now awakening. Patriarch Kyrill is the one that is awakening the Russian people from their Hesychastic trance. Kyrill has the power to correct or even depose Vlad. Kyrill can release the people of their duty of allegiance to Vlad. Kyrill can unite people beyond the borders of Russia and Religions, and is doing exactly that. Kyrill is looking more desirable to more and more people, East and West, every day, as Francis has scattered his flock. Those two weren’t playing patty-cake in Havana. Doesn’t anyone remember Odysseus, or Sinon and his big lie? Therein lies our danger. No one remembers anything anymore. Now, the Greek (Orthodox) Horse is being readied to be brought inside the walls of First Rome. The gates are being opened. Her leaders are drunk. Aeneas has fled. Beware, Romans. The War at Troy has not ended. The ships are not gone. The danger has not passed. The test is before us. My brothers, if you can’t bring yourself to pray for the conversion of Russia, because in your hedonistic Western-Orthodox dream-state, you think the East is already saved, will you do the next best thing? Will you please pray for the conversion of the West? St. Olga, pray for us. Next Next post: Can We Legislate Our Way To Perfection?